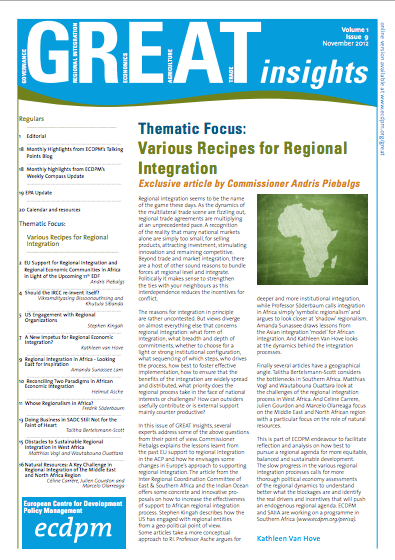 The recent Southern African Development Community (SADC) Summit, which took place in Mozambique on 17 & 18 August 2012, approved the Regional Infrastructure Development Mater Plan (RIDMP). The plan aims to deal with the region’s deficit in road, rail, ports, power, communication and water infrastructure, currently estimated at around $100-billion dollars. 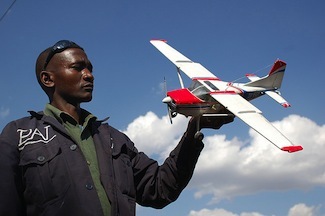 However, a recent study done by the South African Institute of International Affairs (SAIIA), with support from the Deutsche Gesellschaft fuer Internationale Zusammenarbeit (GIZ) in Botswana, has shown that there are a number of smaller interventions that could ease intra-SADC trade significantly. 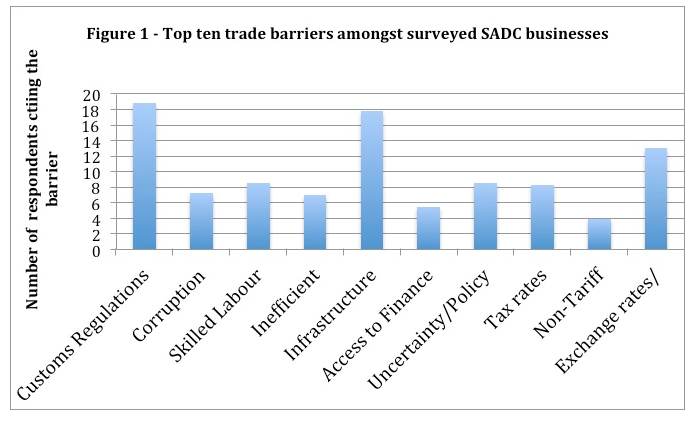 The study consisted of firm-level interviews with around 50 companies throughout the SADC region, in order to gauge whether documented trade barriers in Southern Africa are indeed the most problematic. Drawing on existing work done by the World Bank and the region’s own analysis of the problems in implementing the Regional Indicative Strategic Development Programme (RISDP), SAIIA compiled an initial list of trade barriers that it expected companies to mention. 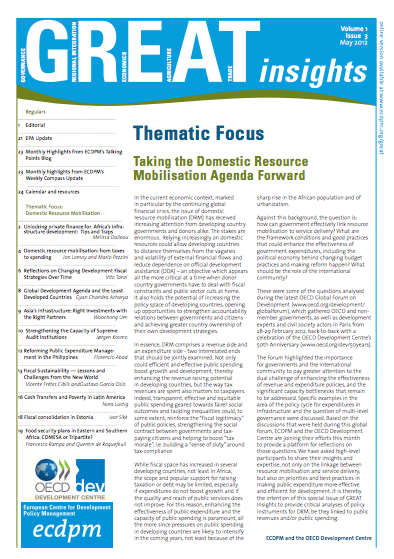 These included: the access to and the cost of finance; tax rates; access to skilled labour; economic and regulatory uncertainty; fluctuation of exchange rates and foreign currency controls; customs regulations, procedures and bureaucracy; infrastructure deficiencies; corruption; inefficient bureaucracies; and, non-tariff and other trade barriers. The development of the top ten barriers was not far off the mark, although they could probably be condensed into a top five or six (see Figure 1). The more common concerns are the areas of customs clearance, the high bureaucratic burden faced (with one company mentioning paperwork for a mixed container of perishable goods being a foot deep), the lack of infrastructure, corruption and access to skilled labour. But generally there is a spread across all the indicators identified. 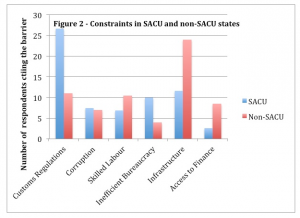 The findings revealed a definite split between the more northern, less developed member states and the members of the Southern African Customs Union (SACU), which includes South Africa, Botswana, Namibia, Lesotho and Swaziland and the barriers they find constrictive. 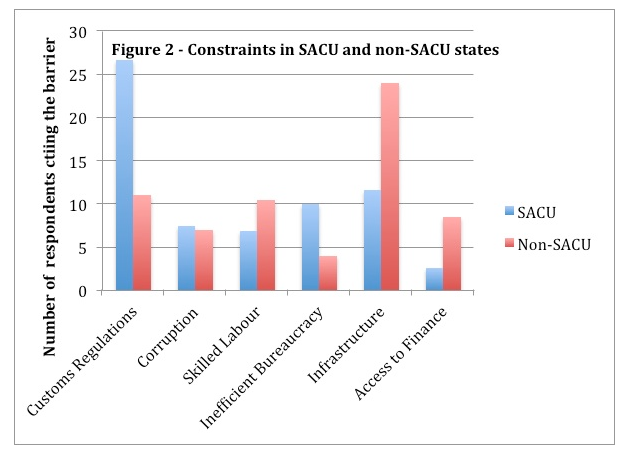 Customs regulations and delays, inefficient bureaucracy and infrastructure deficits were ranked the top three constraints for SACU states, with non-SACU states ranking infrastructure deficits much higher, followed by customs delays, access to skilled labour and finance (see Figure 2). It seems that in the DRC and Malawi the basics of banking and tax issues need to be addressed first before other areas develop into the most significant barriers. For South African firms the border crossings are of highest concern, followed by corruption. South African firms especially mentioned doing business in the DRC as near impossible given the high corruption levels. However, the firms interviewed in the DRC acknowledged the wide-spread nature of corruption but accept it as part of the environment. They would rather address the banking issue than try and deal with corruption. In terms of non-tariff barriers, interviewees most often mentioned the problem with weighbridges, especially outside of South Africa. A different reading at different weighbridges brings huge confusion and attracts additional costs for firms. Most weighbridge points only accept cash for payment of overloaded vehicles often leaving truckers in the difficult position of having to abandon their trucks to seek a bank point several hundreds of kilometers away. No secure environment is offered to the trucks. 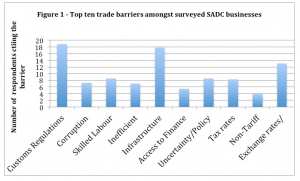 Roadblocks, especially in Zimbabwe, were mentioned as a significant non-tariff barrier and source of corruption. Having to pass through several of these roadblocks and having to bribe their way through, truckers need to carry dollar notes to be able to continue their journey without harassment from police. The introduction of the new e-platform for border crossings to and from South Africa was met with high optimism by the Road Freight Association but extreme pessimism by others, arguing that it is in fact duplicating work with border officials not trained on the system still insisting on the actual physical paperwork and infrastructure deficiencies at the border resulting in the system being inaccessible and resultant delays. Business interest in the region is definitely increasing with Tanzania and Mozambique mentioned as desirable markets to increase exports to. The DRC is still seen as a sleeping giant that will hold many potential benefits once some basic infrastructure; rules and regulations are in place. 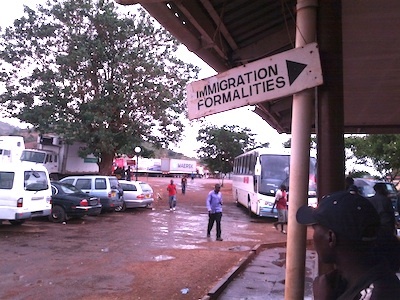 Already, improvements in infrastructure at the DRC borders are attracting more traders to this part of Southern Africa. Whereas the business potential of Angola is recognized companies are put off by the high bureaucratic burden to enter the country, corruption and the often lengthy port and border delays. In Mozambique we interviewed non-typical companies that were either situated in the Duty Free Zone or were large gas companies. Those in the Duty Free Zone are exempt from normal taxes meaning their border crossings are far less complicated with a significant reduction in bureaucratic burden. The oil companies effectively have an exchange rate reserved for their large transactions, they have their own dedicated customs clearance procedures and windows, and government has spent large sums on infrastructure development in areas necessary for oil companies. Not surprisingly, they did not have many barriers to trade to cite apart from the skills shortage. In this regard they are investing heavily in education and skills training for their own industries. These non-typical companies pointed out that they infrequently come into contact with corruption, the reason being that they don’t deal with normal custom procedures. They were of the opinion that corruption was the root-cause of all barriers to trade in SADC, and once this had been rooted out other barriers would resolve themselves. The Mozambique case studies confirmed what has been evident elsewhere: it is hugely advantageous to be a big company. Not only does government wish to attract you and provides duty-free zones and an eased bureaucratic burden, large companies are more like to attract necessary skills and are better equipped to lobby government in their areas of interest. Large firms can afford to appoint highly skilled teams in completing paperwork. They can hire logistical experts for the sequencing of various permits, visas and other forms that can only be collected on an interval basis. The SAIIA sample only included one or two small firms who impressed with their tenacity but who were clearly unique individuals that are well equipped with the necessary personality to thrive in a high risk, high reward environment. Economists regularly argue that small business entrepreneurs are needed to give the region a necessary growth boost, but are lacking in Southern Africa. The SAIIA study shows that the environment is not conducive to their growth. 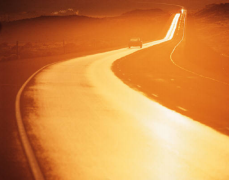 The RIDMP will also not create this environment as it will focus on the much larger, multi-million infrastructure projects to span 14 countries. Whilst this investment is necessary and very welcome, SADC should also in the interim work on non-infrastructure related barriers, that could be easily resolved at the regional level, provided the necessary buy-in exists amongst the member states. During the interviews respondents were asked for suggestions on how to improve the trading environment in Southern Africa and the most common suggestion made was for a SADC-wide business visa to be implemented and for progress to be made on uniform regulations on foreign labour permits. The hope was also expressed that a thorough logistical map of ports and border posts could be done in order to see where small changes (without high capital input) could result in a big impact on delays. A SADC e-platform with regular updates on tariff and excise duty changes would be welcomed. Ensuring that weighbridge scales can be trusted to have accurate measurements with alternative payment methods at weighbridge points would ease business for many road freight operators. 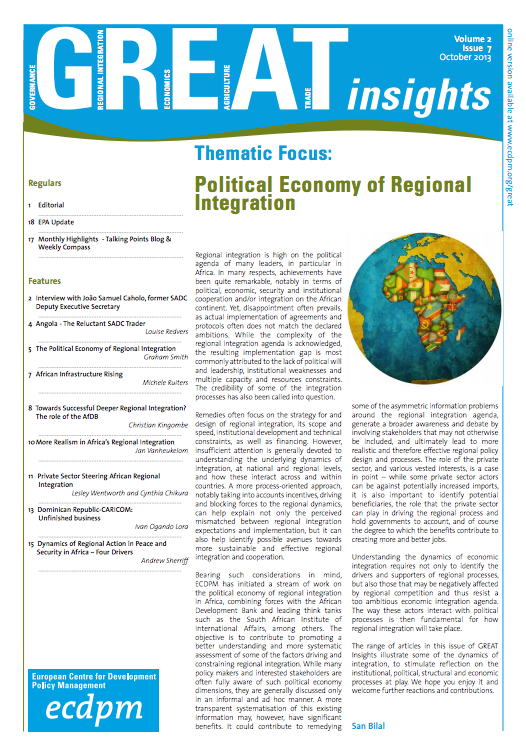 Policy engagement, through which businesses could influence governments and the regional authorities to explore the suggestions made above, is very low, with most companies interviewed claiming ignorance of regional business organisations or how their chambers should be feeding into the Apex organisations. Most firms interviewed argued that they would engage at the national level – either in their own countries or with third country Ministries of Trade or Customs officials. 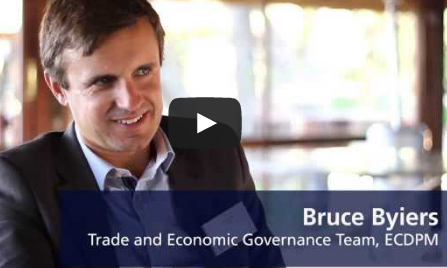 They saw trade delegations as good opportunities to address some of their key concerns. The telecommunications sector was the one sector that did mention effective and deep engagement with SADC via the Communication Regulators’ Association of Southern Africa (CRASA), which enables regular interaction between firms and relevant government officials at a senior level. Telecommunications is slightly different to other areas as it is heavily regulated and in some SADC states the tax revenue from this sector is the largest contributor to the country’s budget. There is, therefore, a mutual concern in engagement. There is undoubtedly a big need for infrastructure investment in SADC, as the SAIIA case studies confirm, but the region, under the leadership of Mozambique, should not lose sight of the myriad of smaller interventions they can make to attract more businesses to trade in Southern Africa. The review of the RISDP should open some opportunity to explore the areas mentioned by the companies interviewed. Talitha Bertelsmann-Scott is a Research Associate of the South African Institute of International Affairs (SAIIA). She writes in her personal capacity. A shortened version of this article appeared in the South African Mail and Guardian newspaper on 10 August 2012.